Tort Versus No-Fault: Which is the Better System? Auto insurance is different in every state. The laws are regulated and maintained by the state, which results in variation in the available options. Although state differences exist, two main types of coverage are available: traditional tort and no-fault insurance. The facts about the two options will make it easier to select appropriate coverage for a vehicle. Traditional tort and the no-fault alternative are vastly different types of coverage options. Understanding the differences is the key to recognizing the reasons that state laws change. The traditional tort is designed to pay for the medical expenses of another party in the event of an accident caused by the policy holder. The insurance does not pay for the medical expenses of the policy holder. The process of proving that an accident occurred, the policy holder was at fault and the medical expenses came from the accident is the responsibility of the party making a claim. 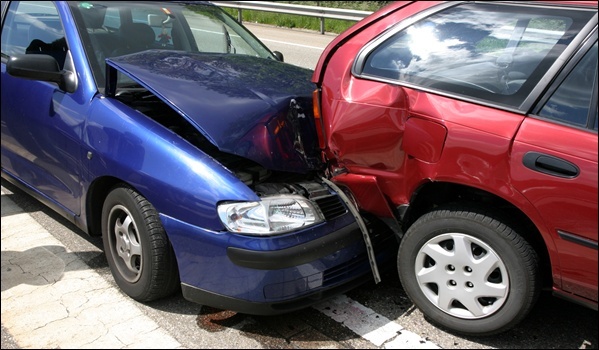 Due to the complication of proving injuries and liability during an auto accident, no-fault plans were developed. The policy pays for the medical expenses of the policy holder and passengers in the event of an accident. The process of making a claim and covering costs is less complicated because it does not involve a third party. The costs of no-fault systems vary by state laws and the regulations related to plans. The idea behind the offering was appealing due to the convenience, but in some states the cost of implementing no-fault insurance was unexpectedly high. As a result, some states have repealed the no-fault laws and only provide traditional tort systems. Although the cost of premiums varies based on many facts, the average cost of no-fault is only slightly higher for good drivers. Most states with no-fault systems have limitations on the coverage amount to keep premium costs within reasonable ranges. States that provide no-fault plans have thresholds that drivers and passengers must meet before filing a claim. Depending on the state, the threshold can vary based on monetary costs associated with injuries or the seriousness of the injuries. Qualitative thresholds have requirements related to the injuries. Serious injuries or injuries that lead to missed work are covered by the insurer. Minor injuries are usually not covered. Quantitative thresholds relate to the cost of medical bills. The no-fault approach with a quantitative threshold will require a medical bill showing the injury and the cost of treatment. If the bill meets the minimum threshold amount, then the provider will cover some of the cost. In 2003, Colorado repealed the no-fault insurance system for a very specific reason. The system in Colorado was too generous with coverage options and allowed consumers to take advantage of the lax limitations. As a result, premiums increased and it became difficult for drivers to keep up with the increased payments. Florida continues to use the no-fault system and it works within the state because the system does not offer uncommonly high coverage amounts. Florida has a much lower coverage amount, which helps keep the premium prices down and maintains the system for residents. The systems vary by state, but only 12 continue to use the no-fault system. The traditional tort is more common due to the complications of additional premium expenses. Although the state laws vary, no-fault systems can work if limitations are set to keep premiums within a reasonable cost.